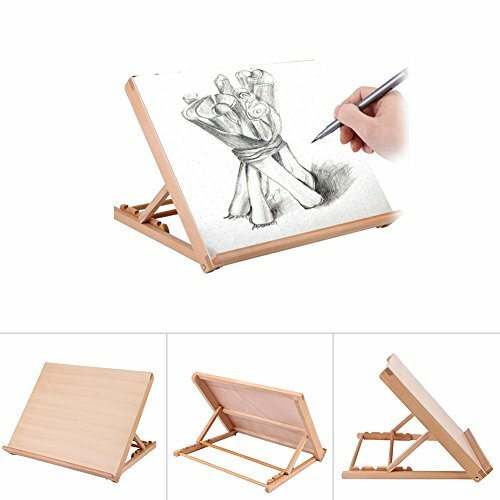 Our wood Art Drawing Board can be put on the desk for drawing and support photo frame. Made of environmentally-friendly wood, good for kids. Large board size makes you draw pictures freely. You can adjust the angle of the drawing board panel to meet each person's different angle and height requirements, promoting proper posture. If you are a person that travels regularly or always on the go, this easel is a great companion for you. Alvin Series Drawing Board 18" x 24"